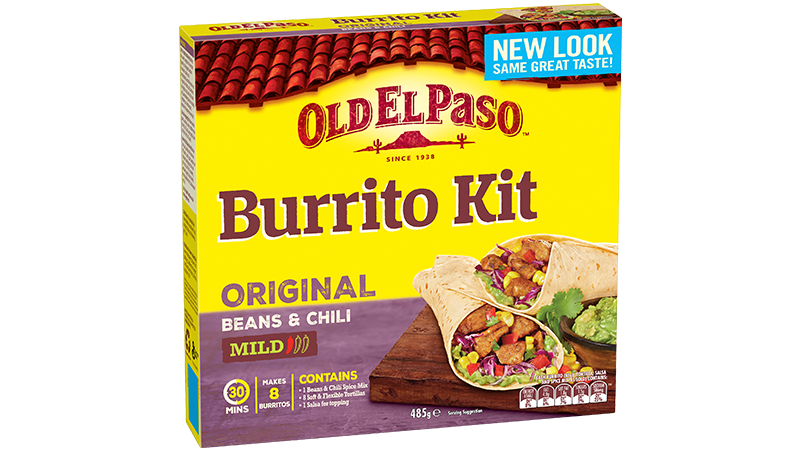 This Mexican recipe from Old El Paso™ uses our Burrito Kit to make 8 Fish Burritos with smashed avocado and lime. It’s authentic Mexican cuisine in your kitchen. With fresh ingredients like grape tomatoes, coriander cos lettuce and zesty lime this recipe is hearty and fresh. Toss fish in Burrito Spice Mix to coat. Heat a little oil in a frying pan over a medium heat. Cook fish for 2 minutes each side or until golden brown. Remove from pan and keep warm. For deliciously warm and soft Tortillas simply follow on pack instructions. Smash avocado with a little lime juice. Combine tomatoes, onion, coriander and remaining lime juice to create a fresh salsa. 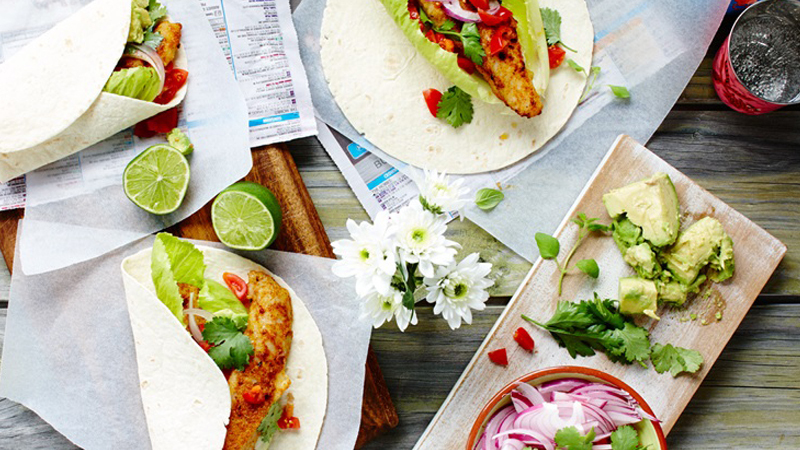 Simply wrap your lettuce, fish, avocado, fresh tomato salsa and Mild Mexican Salsa in a soft Tortilla and you’re ready to enjoy this twist on a classic Burrito that everyone will enjoy!